“Cuban homes waste an estimated 22% of the water supply,” said the president of the National Institute of Hydraulic Resources on Friday. The official said that this is due to the deterioration of the domestic pipes, the poor condition of the plumbing fittings, and spills that are generated from elevated or underground tanks. Chapman announced a program to market the fittings, with subsidies for families who declare themselves insolvent. The only Cuban factory that makes plumbing fittings only satisfies 40% of the national demand, and therefore an unspecified investment was approved to modernize it. 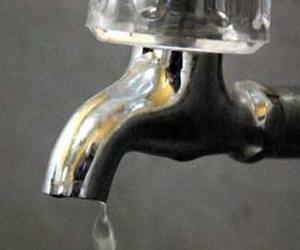 The sale of plumbing materials will be first prioritized in the cities where the major water lines are being repaired. Hardware Industrial Company, one of its kind on the island, has a high deterioration and obsolescence after almost thirty years of operation, and only meets 40% of domestic demand, so that was approved for the same investment of resources . The sale of materials will be prioritized in the cities where it currently rehabilitate water networks.